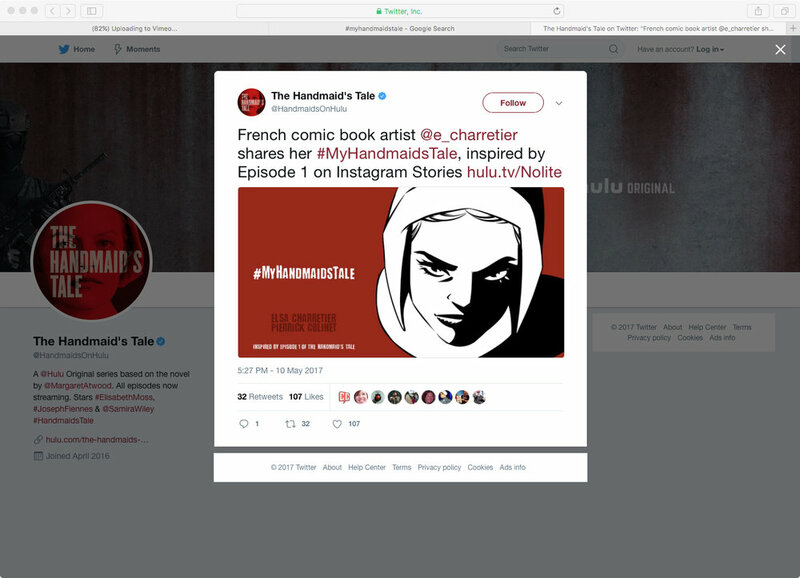 Promoted through social media, fans were invited to create their own versions of key scenes from "The Handmaid's Tale." Winners were chosen by Margaret Atwood herself. The hashtag seeded by Hulu that brought fans creations together and allowed viewers to share their own ideas and interpretations. Winners posted on multiple social media outlets, namely Instagram, Facebook and Twitter, to show off their work. Unique and highly stylized graphic stories were created based on each episode and then released through social media channels.